If you think emotions aren’t important when writing texts, you’re wrong: Google, Amazon, Apple and Facebook are increasingly turning to emotional, multi-dimensional communication and creating new standards in user experience. 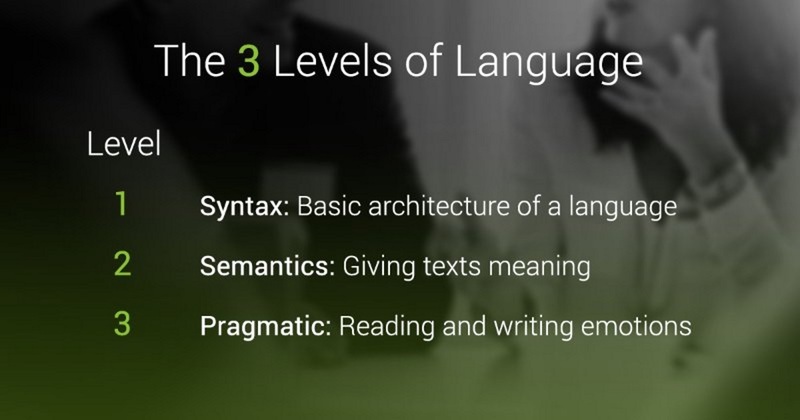 Linguistic approaches, particularly at a pragmatic level, play a key role in shaping modern digital communication. Users are looking for information, but language doesn’t just consist of structures and meanings: it is a powerful tool for transporting emotions. How can businesses use content to address customers in an emotional way? As the way we communicate changes, so too is the role of language evolving. User experiences that used to consist of a simple information transfer are gradually becoming emotionalized. Technological innovations like voice search and eye tracking tap into the emotional needs of the user at all times and in all places. Such innovations are reducing the importance of individual physical devices and switching the focus to the quality of information exchange. Sundar Pichai, Google CEO, explained in a recent statement where he sees things headed: “The next big step will be for the very concept of the ‘device’ to fade away…the computer itself – whatever its form factor – will be an intelligent assistant helping you through your day. And it’s true: If you look at how Google’s algorithm has developed in recent years, you can see how the search engine is, slowly but surely, turning into a communication partner that no longer has to play second fiddle in its interaction with humans. Over the past few years, Google has made changes to its algorithm aimed at continually improving the ability of its search engine to understand language. 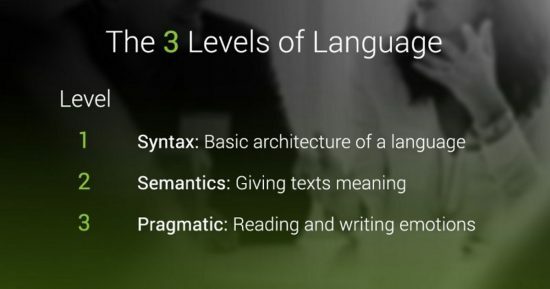 These optimizations deal with language on three levels: Syntax (language structures), semantics (language meaning) and pragmatics (language emotions and desires). Updates have been implemented that improve the evaluation of the syntactic quality of content. It used to be common practice to optimize websites for specific syntactic elements like keywords, without creating any value for users. These tactics were dealt a blow by Google’s Mayday Update in 2010, following which content farms like E-How were no longer able to achieve high rankings by flooding the internet with low-quality content. Another milestone came in 2012, as the Penguin Update addressed the issue keyword stuffing, with later Penguin Updates also tackling other web spam methods. Optimizations dealing with semantics include the 2011 Panda Update. Matt Cutts, former Head of Google’s Web Spam Team, described the measure as aiming to ensure that users received “high-quality content” in the search results. Google didn’t stop there. The Hummingbird Update made it possible for Google to identify the relationships between search queries and improve users’ search experience by providing more meaningful results. As a self-learning system, RankBrain then made it possible for Google to answer previously unknown, ambiguous and/or complex search queries, and compare them with natural language. Furthermore, the search engine became better at interpreting neologisms and colloquialisms, and processing dialogue. The level of pragmatics used to be limited to communication between people. Senders and recipients switch roles and have to be able to react to each flexibly and precisely. Pragmatic communication isn’t just about information – it demands a high level of emotional intelligence. And this isn’t just based on the informational content, but needs to assess aspects like tone of voice, how quickly someone is talking, their facial expressions or other unspoken signals. For this level of communication, machines process a diverse range of biometrical information, and use these indicators to gain insight into the user’s feelings and needs. It might sound like far-fetched, but advances in search engine technology continue to improve the ability of machines to understand human language and user behavior. Back in 2015, John Mueller, Google Webmaster Trends Analyst, suggested that user signals are too “noisy” to be usefully evaluated. However, there are now signs that these so-called nosiy signals are being increasingly used as part of Google’s analysis. And there is no reason for Google not to continue to grow its capabilities in this area of data processing. John Mueller said in November 2017 that user signals were being used for A/B testing of algorithms. Google patent number 9,727,653 B2 also reveals that the search engine is working on the intelligent evaluation of user signals: The aim is to use indicators to identify the interests and preferences of individual users. 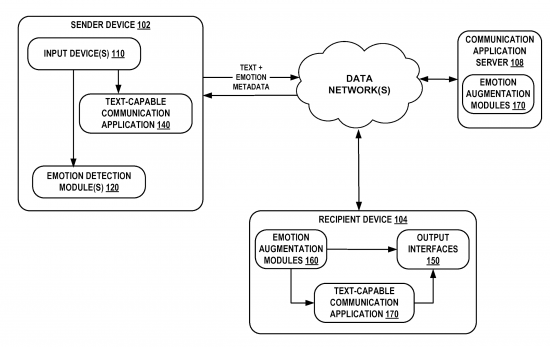 Google’s patent “Augmentation of communications with emotional data” is one of many steps the search engine giant is taking towards making communication at a pragmatic level possible. For years now, Google’s research department, Google X, has been working on the development of Artificial Intelligence, robotics and automation, aiming to create a device that can master the pragmatic level of communication. 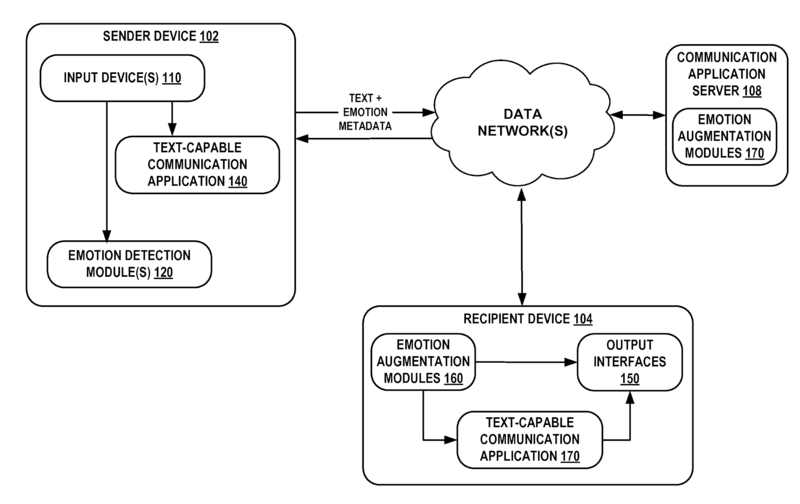 A patent published by Google X in March 2018 explains how the emotionality of users can be addressed by analyzing text and voice inputs, and how to respond to these inputs with relevant content. In “Augmentation of communications with emotional data”, Travis Deyle and Eric HC Liu have developed a system that lets information within the search engine be adapted intelligently depending on context, choice of wording and auditive components like speed of speech, intonation and tonality. 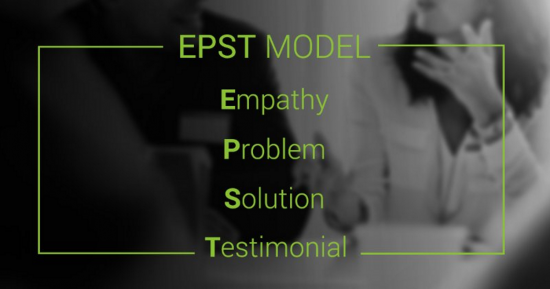 The EPST model describes how content can be used to most effectively speak to users and appeal to their emotions. The four stages, Empathy, Problem, Solution and Testimonial, combine to speak to the user on a variety of levels, making the added value proposition as clear and tangible as possible. Empathy: Potential customers want to know that they are understood. They are, either consciously or unconsciously, looking for content that reflects their own views, and corresponds to their own needs. Companies therefore have to understand their users and also make it clear that they understand them. This can create an emotional connection that leaves a lasting impression on multiple levels. Problem: Many companies shy away from addressing problems – often they are scared of positioning their brand in a negative context. However, problems and challenges set the stage and create the context for a credible solution, and for strengthening the emotional connection between the brand and its audience. If you don’t address users’ questions, then there’s no point providing any answers. Classical advertising is often ineffective and irrelevant for its target audience because it fails to intelligently address topics. An uninspired slogan never achieves anything if it doesn’t get under the skin of the target audience. Users are much more likely to take notice of a company that is bold enough to address problems. Solution: The purpose of presenting a problem is to underline the importance of the solution. Added value of the solution is measured by the needs it addresses and the way it is presented is also important. On the one hand, the quality of the product or service has to be convincing. On the other hand, the service and the context should stand out – e.g. 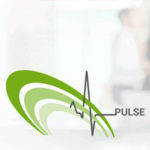 through high accessibility, ease of implementation or a generous offer. The solution is not the only the product itself, it is the whole package in which it is presented. Testimonial: Finally, the user needs to be able to judge how credible the solution is and how likely it is to work – this could be through star reviews, customer statements or quality certificates. This could also be achieved using videos with customers or interviews with experts – anything that underlines the added value of the solution. The more biometric user data can be gathered and analyzed, the more the linguistic optimization of content grows in importance, as these developments increase the emotionality of communication and information exchange. A good user experience and the added value offered by content will, in the future, be increasingly measured at a pragmatic level. The key is signaling to the user that you understand their needs, and also presenting them with a solution. To achieve this, pragmatic aspects of content have to be considered from the outset of its development.